Wow! 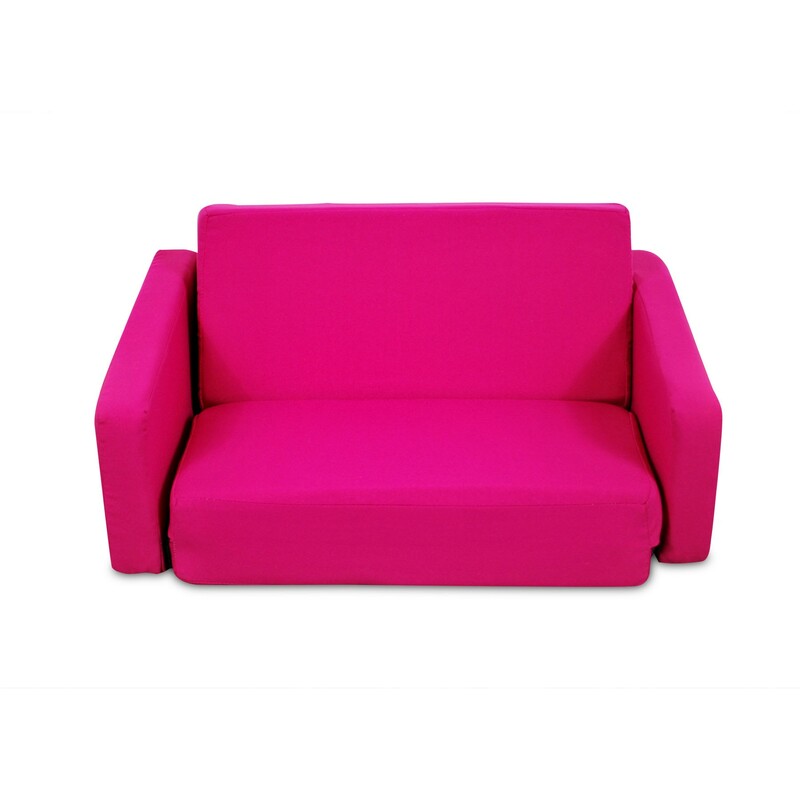 The Hot Pink vibrant color of our Tot Sofa is reason enough to grab this versatile child seating piece for your toddler, but we have packed in other features to make it irresistible! 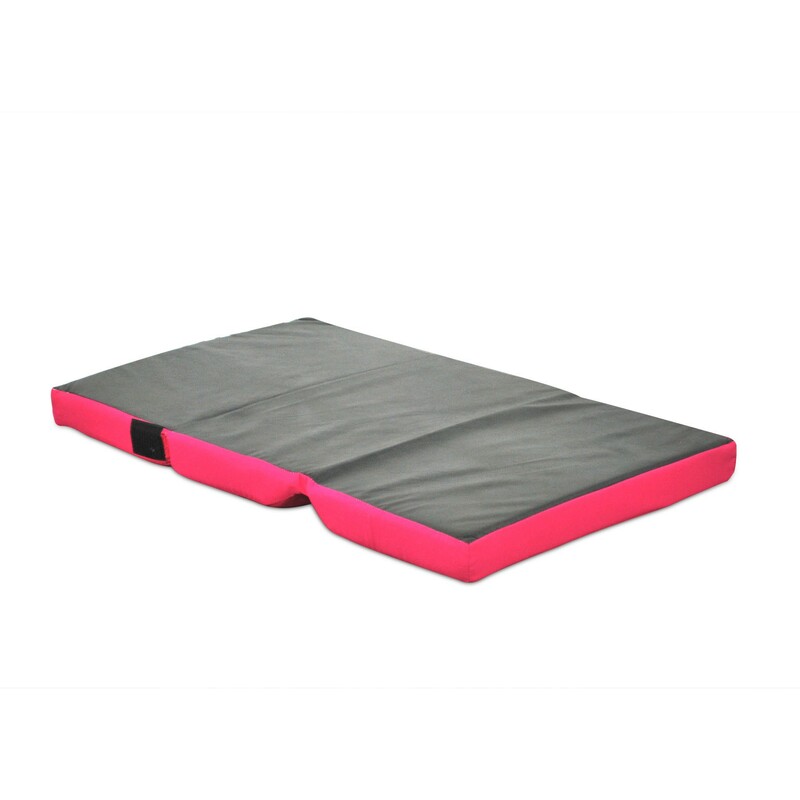 This toddler sofabed is actually three pieces in one, each designed to fit your little one personally: a great sofa for reading or visiting with friends; a lounger for reading or relaxing in front of the television; and a foldout bed for sleepovers, visits to relatives, or any time you need extra bed space. 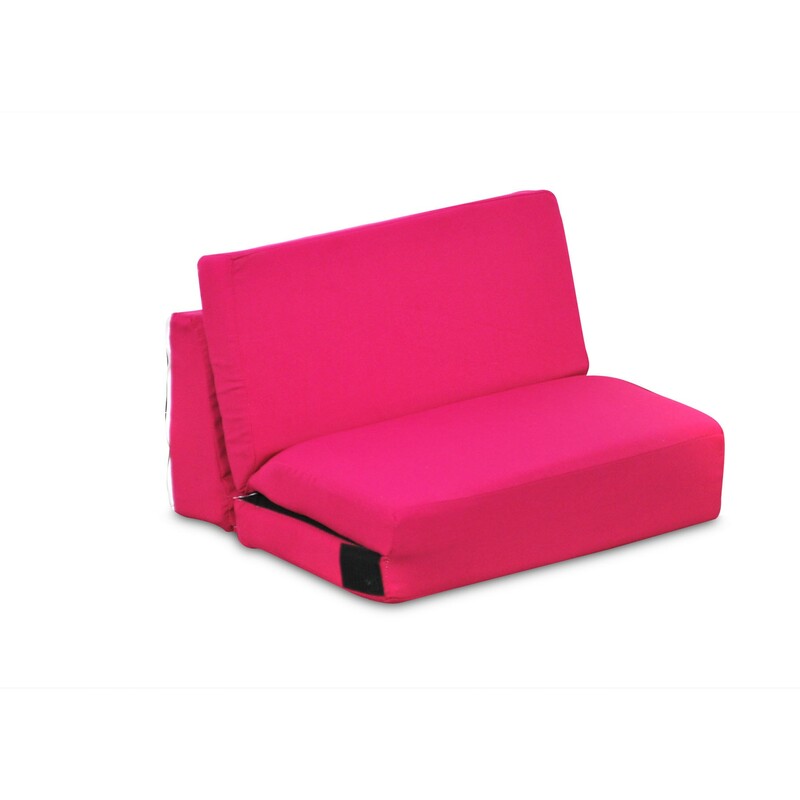 This sofabed is made of durable fabric in exciting hot pink that will stand up to wear and tear. 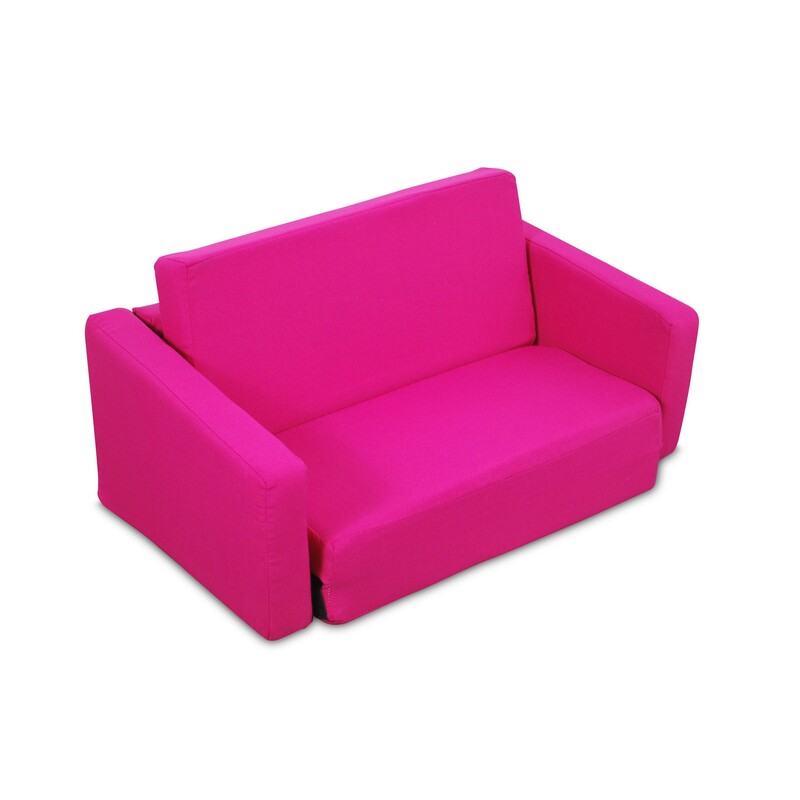 This child sofa is built to last and to be comfortable for your little one no matter how often it is used. Best of all, your child will have a unique and comfortable space to relax in a color that is sure to make any child happy!